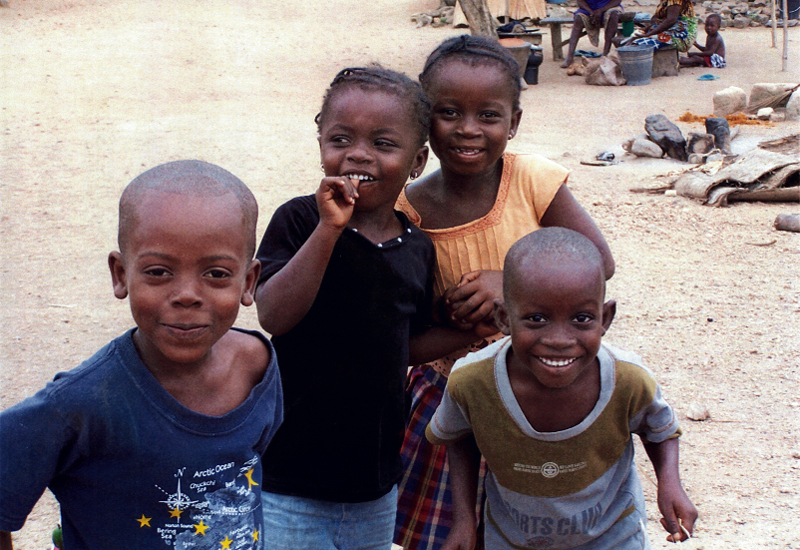 Despite ravishment from disease and wilting poverty, hope for Ghana is reflected in the smiles of its children. The living conditions of children in Ghana was an eye-opener for American students, teaching them the true meaning of poverty. 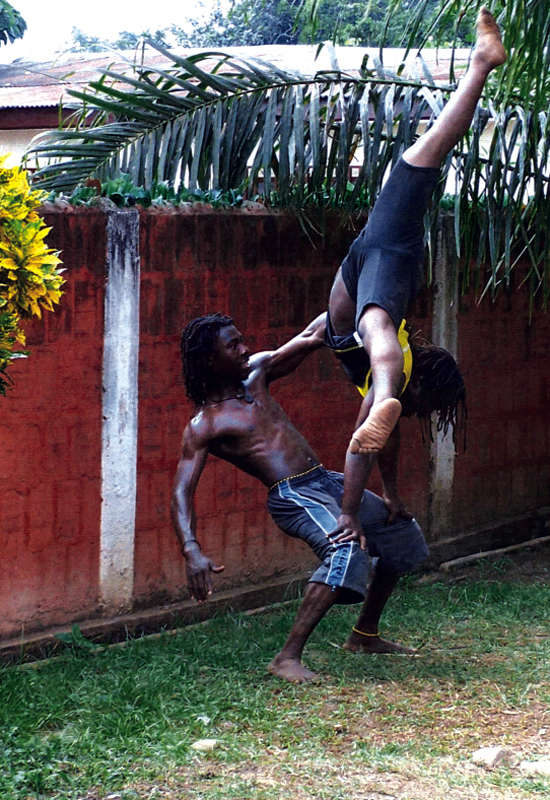 Two members of Nkabom defy gravity. 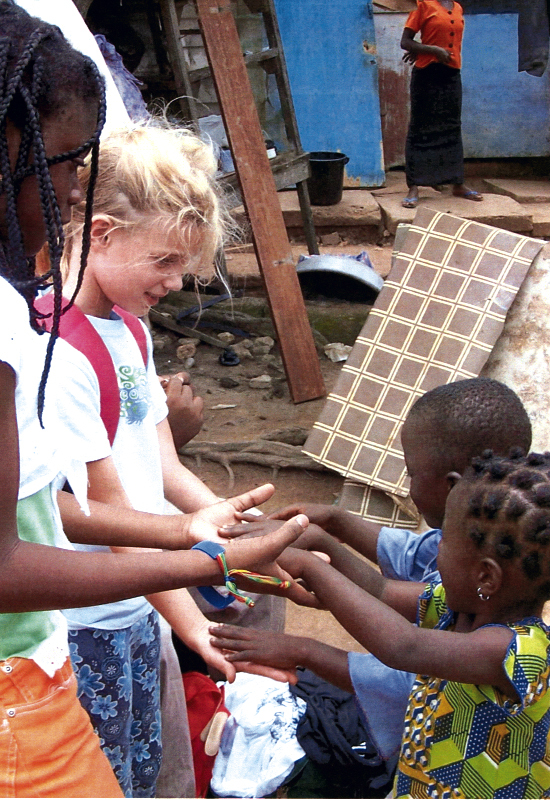 hop14.jpgConnections: Ignoring the language barrier, visitors from Charleston play games with young Ghanian children. Cynthia Cupit Swenson occupies a small table at Kudu Café, the coffee shop she frequ­ents “because I just miss Africa,” she says poring thr­ou­gh an album of photos. The blond in the cowrie jewelry exudes that quality one occasionally encounters: the completely approachable person you feel drawn to embrace after your first meeting. 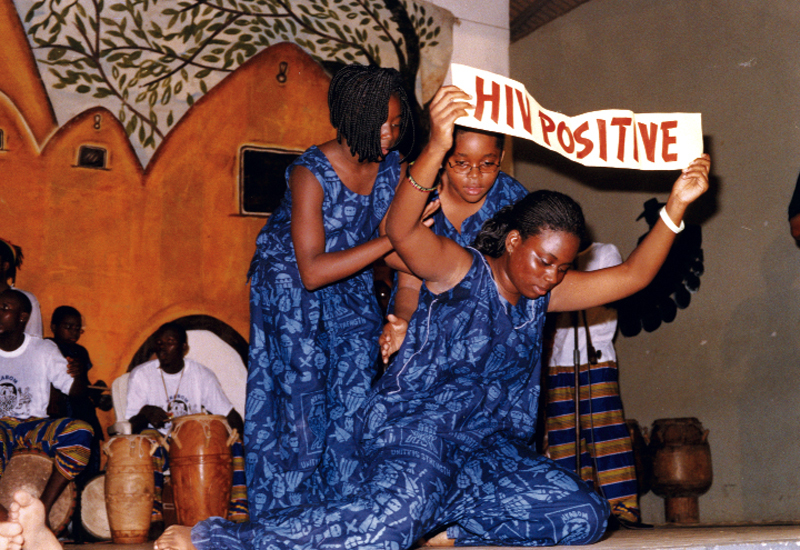 It is precisely that spirit that drew Swenson to Union Heights, to the Djole Dance and Drum Group, and ultimately to an African man named Powerful, whose dream is to end the HIV/AIDS epidemic that has brought his beloved homeland of Ghana to its knees. And it all began as a research project. Union Heights is a hardscrabble community tucked between Meeting Street Road and Spruill Avenue, a North Charleston neighborhood struggling to maintain a fragile equilibrium. Drugs, crime, poverty—name a 21st-century urban malady, and it has taken up residence here. 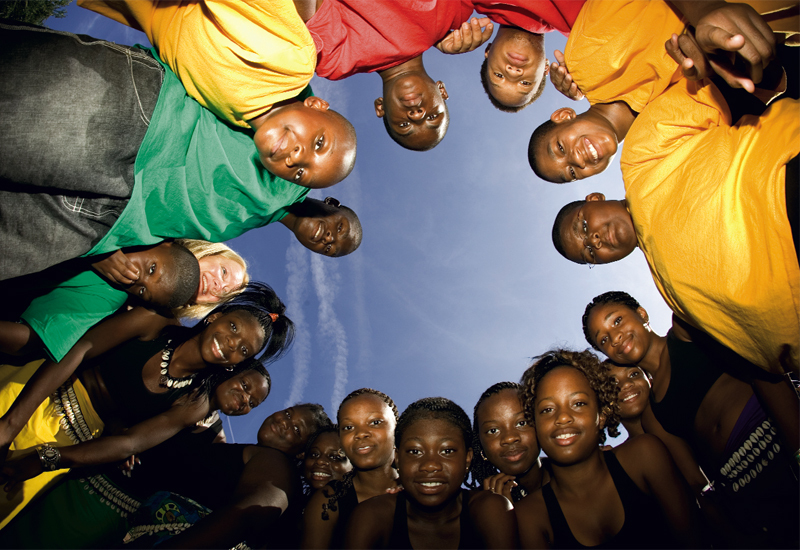 But also resident is a thriving vein of hope and a committed band of adults focused on changing the future for the young people in their charge. Swenson arrived there in the 1990s to launch an MUSC study of Multisystemic Therapy (MST), which treats the individual by working to strengthen his or her “habitats.” Upon shoring up of the most critical habitat, the family unit, MST then focuses on creating a strong, healthy neighborhood. Ultimately, the radiating rings of strength can change entire cities and cultures. “Every child in the world is Cynthia’s child,” says Samuel Nkrumah Yeboah, founder of the Nkabom Artists and Craftspeople Association based in Accra, Ghana. His name, which means “powerful” in Ashanti, is a constant thread in Swenson’s retelling of the story of how the Djole dance and drum troupe visited—and was forever changed by—Africa. It started innocently, as “Doctor Cynthia” sought a set of professionally made drums for Djole. In a serendipitous chain of events, a friend referred her to a master drum maker named Powerful. Swenson e-mailed him seeking those drums, and he replied, seeking an answer to his prayers. 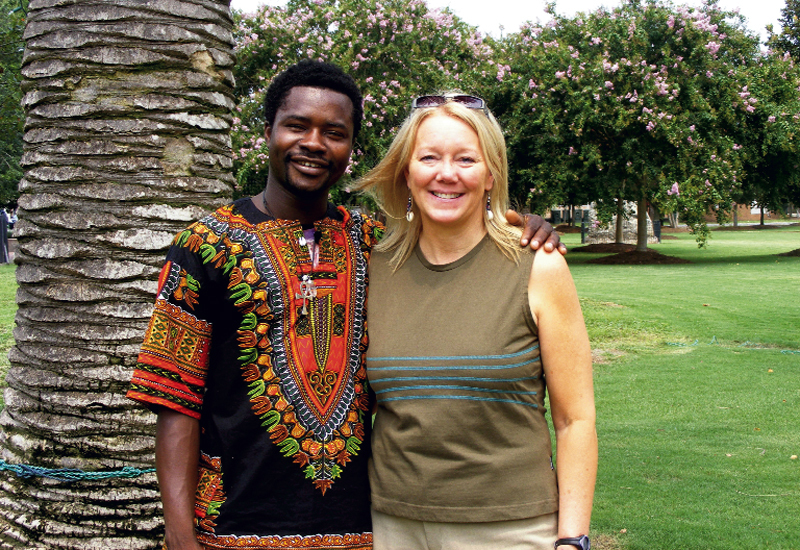 “I prayed to the universe to bring together people to share our passion, to use music and dance to address our HIV/AIDS and environmental problems.” Through their correspondence, Powerful suggested Swenson bring Djole to Ghana to perform, and to bring back to the U.S. Ghana’s call for help. “Truly, I had no idea what I was saying yes to,” says Swenson, laughing at the folly of it. 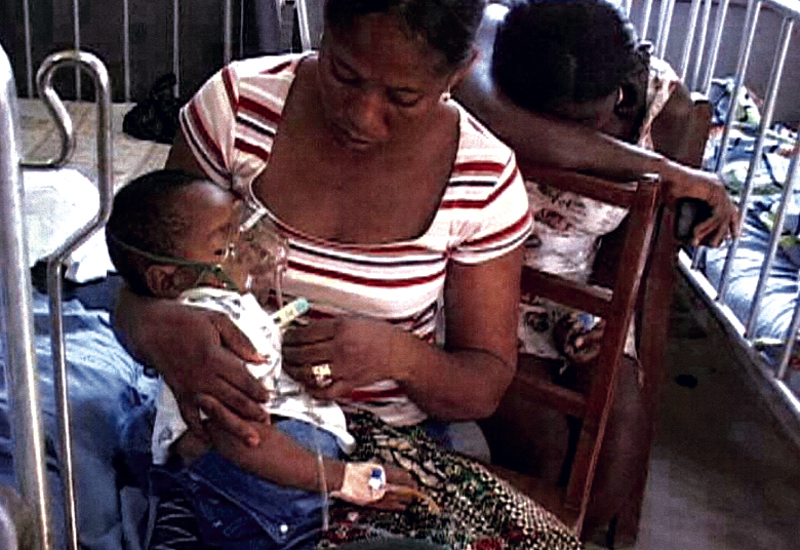 After all, Djole was populated by children with no access to funding. Most had never flown on an airplane. As she researched it, she found the trip would cost $4,000 a person. She would also need a team of adults, including health care workers. It hardly seemed possible. And yet last August, two years after they began their pursuit of funds and friends, the Djole group arrived in Ghana to perform. Pooling money they raised through fish fries and selling water on the Battery (along with generous grants and donations), the kids arrived in Africa to perform with Nkabom (which means “coming together” in Ashanti) and interpret the ravages of HIV and AIDS through music and movement. They performed in orphanages and schools, in villages and cities. Their work was broadcast on national television and earned the kudos of world leaders, such as Desmond Tutu and Bill Clinton. And through it all, the Charleston Djole dancers told the story of AIDS. They acted out the sad story that has come to seem all too familiar for so many in Africa: the lovely, lively young woman called by her desire and felled by the disease that has killed so many. When they weren’t performing, the Djole dancers toured. 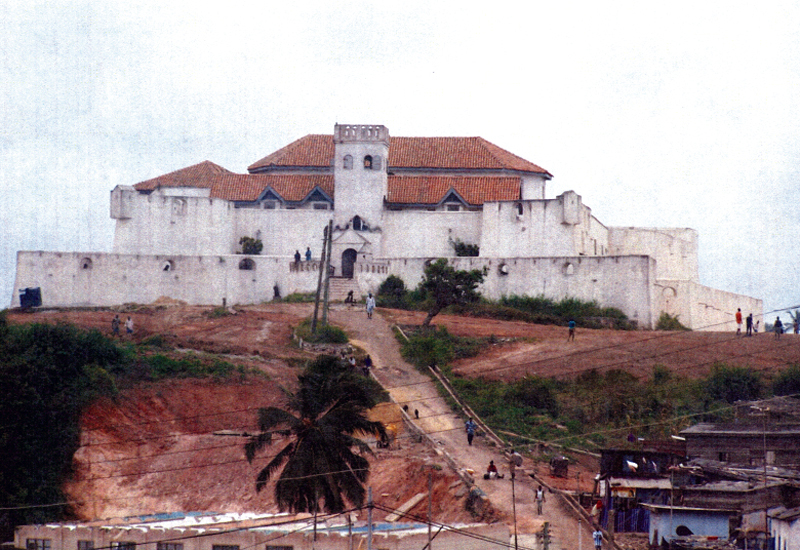 One chaperone, a Union Heights community leader in her eighties, was greeted in a village by one elderly woman who proclaimed: “You’ve come home.” The group visited a “slave castle,” walking the pathways that had long ago led captive men, women, and children, each step taking them farther from their homeland to ships bound for places as foreign and faraway as Charleston, South Carolina. And so they are. 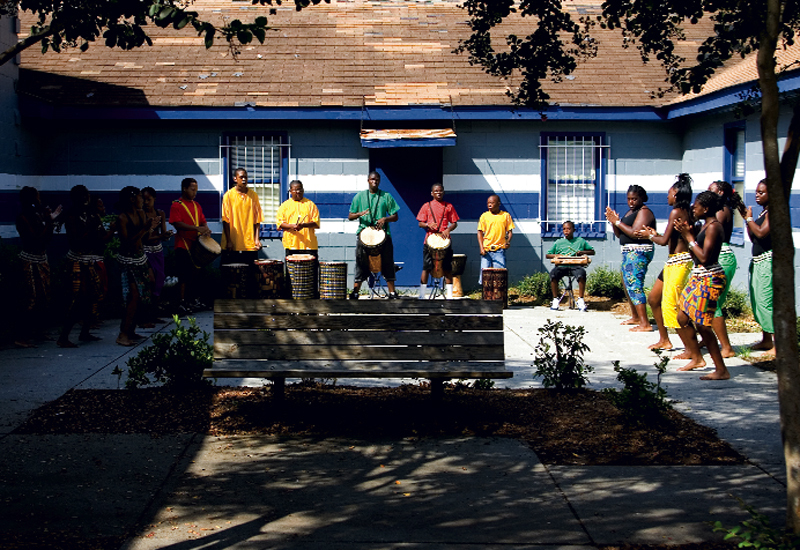 This month, Powerful and the members of the Nkabom Artist and Craftspeople Association will arrive in Charleston to perform with Djole African Dance and Drum Company for a charity gala. Every dollar raised will go to fund Project Okurase, an education center that will provide skills training in sustainable methods. Its purpose is simple: to strengthen the community by strengthening families. 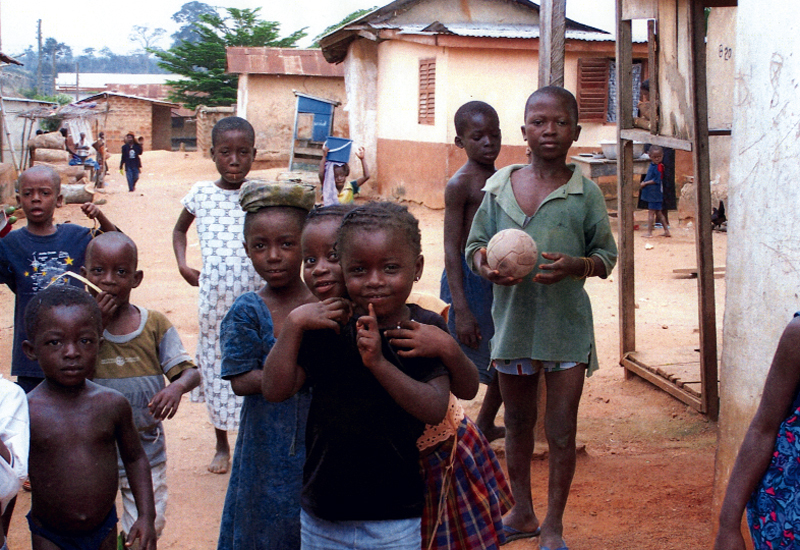 Through Project Okurase, Ghanian families will acquire the skills necessary to make a living wage. Participants will also gain environmental literacy. A special focus is being placed on women and girls, emphasizing the education of female children. For Swenson and Djole, they’re all worthy of support. But the most compelling idea may be this: women served by Project Okurase are asked to commit only one thing in return. They must be willing to expand their families, to welcome into them children orphaned by AIDS. And so it comes full circle, as a proper African story will. It’s one of the woman who seeks to make communities healthy, one family at a time—the doctor who loves all children and seeks to make a loving home for more of them.